Family-house - manufactures and imports Timber Frame houses and bungalows, vacation log cabins, log houses, holiday lodges and other industrial buildings...( wooden houses, homes, summer cottages, residential houses) . 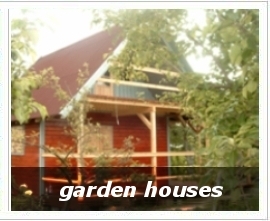 We are a manufacturing company providing wooden houses in the framing system. Our houses are perfect as a residential house or a summer cottage but we have also products which may be used as a shop or a restaurant. We have chosen the technology because it is very popular world-wide as environmentally friendly and very economical, and in our country it is still much underestimated. 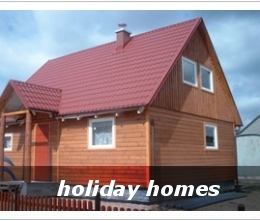 We want to promote the well-proven and tested solution which provides omfortable and energy-saving house to live or enjoy your vacation. All the members of our staff are competent experts with long experience in construction business and wood technology. We focus on safeguarding high quality of our products, professional service for our customers, and total responsibility for our standard products and individual designs. Feel free to learn more about our offer and if you have any further question our trade department and salespeople are here for you. Advantages of timber frame construction in summer and annual houses. A characteristic feature of these structures is timber framing filled with thermal insulation and covered externally with façade boards or timer boards, e.g. OSB, plywood. The supporting structure is made of posts and horizontal elements of external walls. At the top there is a ground sill, at the bottom a girt. Walls are constructed within a timber frame and are made of layers. walls topped with floor joists and rafter framing. symbiosis with the natural environment makes us perceive our bond with nature, improves our relations with the environment and provides with calm and healthy life. All our homes are environment friendly.